‘Pronation’ is an obscure word, but it actually refers to something your feet do every time you walk or run. When each foot strikes the ground, the arch (the curved area most visible on the inner side of the foot) flattens out a little to absorb shock and help you to keep your balance. As a result, the foot rolls inwards slightly – the movement podiatrists call pronation. That all sounds straightforward, doesn’t it? The problem is that some people’s arches are particularly low or high, so their feet pronate too much or too little. Abnormal pronation prevents people’s feet from working as efficiently as they should and coping successfully with the impact of striking the ground, increasing their risk of foot problems and injuries. Knowing how to tell whether you have normal or abnormal pronation is crucial when you want to ensure that your feet are able to function properly and move comfortably. 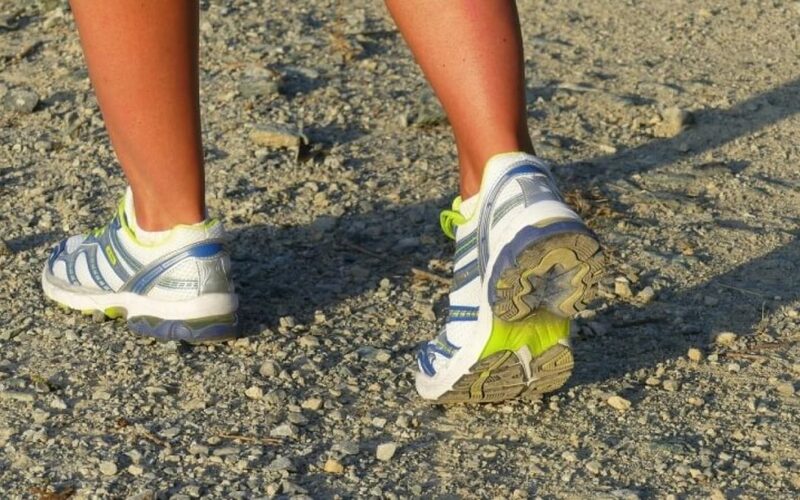 What’s more, if you’re a keen runner or enjoy playing sport, understanding how pronation affects your feet can be an important step towards enhancing your athletic performance. Normal pronation: (sometimes called neutral pronation) the foot rolls inwards slightly and remains correctly aligned with the ankle. Normal pronators benefit from optimum shock absorption, thanks to their springy, responsive arches, and find it easy to push off from the ground in order to take their next step. Overpronation: the foot rolls inwards considerably and is forced out of alignment with the ankle, potentially causing pain and discomfort. Overpronators tend to have low arches (giving them flat feet, as shown on the NHS website), which aren’t springy or robust enough to absorb shock effectively. If you overpronate, you’ll notice a lot of wear on the inner edge of your shoes’ soles. Underpronation: (also known as supination) the foot doesn’t roll inwards enough; instead it rolls outwards. That’s because the arch is too high and firm to flatten out sufficiently. As underpronators’ feet don’t absorb shock well, some of it is transferred to the ankle and lower leg, which can lead to injuries and other problems. If you underpronate, the soles of your shoes will wear down the most on the outer edge. The next time you step out of the shower, take a look at the footprints you leave on the bathroom floor and try the ‘wet test’. It’ll give you an idea of what type of pronation you have. When examining a footprint for the wet test, pay close attention to how much of the bottom of your foot has come into contact with the floor. If your toes, ball, heel and part of the arch have made the floor damp, you may well have normal pronation. If the whole of the bottom of your foot has left behind a wet mark, you could be an overpronator. If you’re an underpronator, you’re likely to find that your arch has hardly touched the floor at all. The wet test can be a helpful starting point, but if you want to be certain about whether or not you suffer from abnormal pronation, the best approach is undoubtedly to consult a foot specialist who has the necessary expertise and equipment to make a firm diagnosis. At our London podiatry clinics, we can perform a detailed biomechanical assessment for you, known as gait analysis. Thanks to state-of-the-art video systems and pressure platforms, coupled with our detailed knowledge of foot function, we can detect abnormal pronation and determine how best to correct it. We can design custom-made orthotics, for example, to optimise your foot function, enhance shock absorption and ensure that pressure is properly distributed across your soles, helping to protect you from pronation-related problems. For specialist treatment for overpronation or underpronation, please call Feet By Pody today on 0207 099 6657 or book an appointment online.